Thanks for connecting with us! 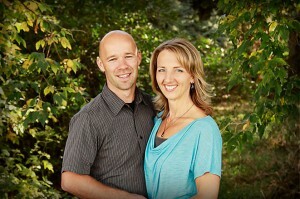 My name is Chris Maclure and I serve as the Senior Pastor here at Brightview. My wife Myrna and I have been married 18 years, and have three beautiful girls – Kaylie (12), Janaya (10), and Tianna (8) that keep us on our toes! After working as a Junior High science teacher for three years, followed by five years with an African mission agency, I sensed God leading me to serve as a pastor. After completing my graduate degree in Langley, BC, God directed us to Brightview. I’m often called, “Pastor Chris”, but pastoring is what I do, it’s not who I am. Who I am is a genuine follower of Jesus. He is my purpose in life and hope in death. I’m passionate about inviting people into a relationship with him. Brightview church consists of regular people pursuing a purpose beyond ourselves. Here, you are welcome to come as you are; to do away with religion and encounter Jesus in a way that transforms your life. Come check us out. You are welcome here! My name is Andrew Bird and I am the Youth Pastor at Brightview Church. 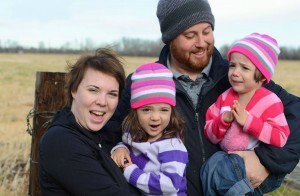 My wife Kathleen and I have been married for 6 years, and have identical twin girls – Lucy (4) and Olivia (4). As a teenager I was heavily involved in my local youth group, and as I neared graduation I felt a strong call from God to go into Youth Ministry. I studied for 2 years at Columbia Bible College in Abbotsford, meeting Kathleen during that time and marrying her at the end of our 2nd year! We agreed going into our marriage that God had called us to be a team in youth ministry, and so we embarked on a long journey of growth, training, joy and pain. God has now brought us to Brightview Church, and we are excited to be part of what God is doing here, and to explore this next phase of our journey! Come and join us as we journey together.